Bringing traffic to your WordPress website means little if you can’t get visitors to take action and convert into paying customers. To help achieve this, it’s important to know how users react to your website’s various elements, and how to optimize them to improve your conversion rate. If you think that sounds like a psychic’s job description, you’re not alone. Fortunately, we have a great alternative to a crystal ball at our disposal in A/B (or split) testing tools. However, choosing the right A/B testing tool can be tricky, considering how many of them are out there. In this post, we’ve done the hard work for you, scouring the internet to bring you our top five A/B testing plugins out there. Let’s see how they stack up! Although WordPress Calls to Action is free, its developers also offer four additional premium tiers, which include features such as more templates and Google Analytics integration. However, it’s worth noting that unlike premium customers, free users are not entitled to any kind of support. Enables users to create unique CTAs or use one of their default templates as a baseline. Includes a visual editor to streamline the design process. Provides users with impressions, conversions, and click-through counts to track CTA performance. Nelio AB Testing is a comprehensive variation testing service for WordPress users. We’ve chosen to use the word “service” because although there’s an unrestricted free trial period, you’ll have to subscribe to one of its premium plans if you intend to keep using it. The plugin also includes heat and click map tools, which provide you with the opportunity to gain insight into user behavior and how they interact with your pages. Finally, the team behind the plugin have assembled an incredibly thorough knowledge base, and offer dedicated support. Nelio AB Testing’s free trial is good for up to 1,000 page views, with three premium plans for those wishing to continue using the plugin after the trial ends. Provides A/B testing capabilities for pages, posts, headlines, themes, small CSS tweaks, custom posts, widgets, and menus. Includes both heat and click mapping tools. 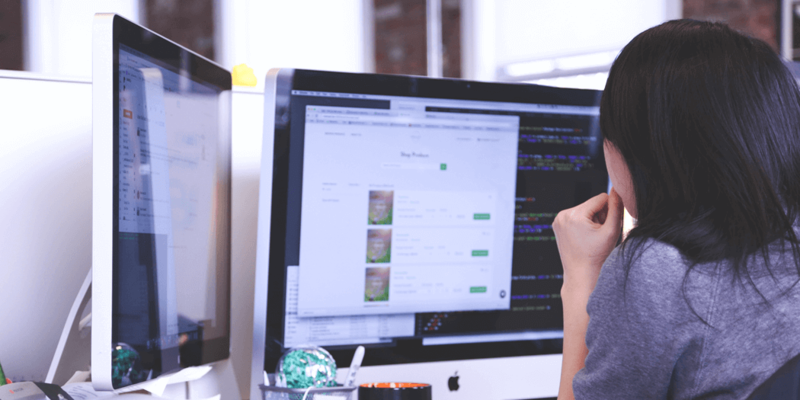 A good title can make or break a WordPress post, which is why the team behind Title Experiments decided to create a tool to help users improve their conversions with A/B testing. Each title will display performance statistics next to its name, which enables you to gain insight into what kind of headlines perform better with your audience. The plugin will also begin to show low-performing headlines less and less over time as your sample size increases, and also lets you choose which title variation will be visible to search engines. While Title Experiments is free, there’s also a premium version available, which adds an option to test featured images, offers more detailed statistics, and prioritizes support for paying customers. Enables you to add new headlines to your posts, pages, and projects and track their performance directly from an editing screen. Automatically adjusts to prioritize the display of high-ranking headlines. Once you’ve set up a variation, you can specify how much traffic will be diverted towards each option, and track its performance, until enough data is collected. Although Simple Page Tester lives up to its name as far as split testing is concerned, development seems to have significantly slowed down during the past year – so you might want to bear that in mind before signing up to their premium plan, which starts from $59. Enables you to implement split tests on your pages or posts. Notifies you when your experiment has accumulated enough data to choose a winner. Like Nelio AB Testing, Optimizely is also a premium A/B testing tool – but similarly to Simple Page Tester, development has been slow going. Along with the ability to create split tests, the service enables you to target specific users according to their geographic location, cookies, device, browser, and a whole host of other criteria. Although the service can be used alongside WordPress, it’s not specifically targeted towards users of the platform. Optimizely is geared towards enterprises, and its list of premium plans makes that pretty clear, since many plans don’t even include prices. With that in mind, if you’re happy working with a third-party solution, you might want to give the free trial a go. Enables you to create A/B and multivariate experiments. Provides the ability to target users through very specific criteria, which in turn can provide a greater degree of insight than the other tools we’ve tested. A/B testing can be a powerful tool as long as you use it correctly. If you ask the right questions and keep an open mind to the answers you receive, you’ll be in an excellent position to get your visitors to convert. However, with the many tools out there, it could be difficult choosing the right one for you. WordPress Calls to Action: Suitable for split testing calls to action. Nelio AB Testing: Great for all-round A/B and multivariate testing. Title Experiments: A headline split testing tool. Simple Page Tester: A simple tool for A/B testing pages and posts. Optimizely: A third-party service with in-depth targeting options for your split tests. Has A/B testing helped you improve your conversion rates? Share your success stories in the comments section below! Need a place to host your WordPress site? Visit A2 Hosting now to see their selection of high speed WordPress Hosting solutions.